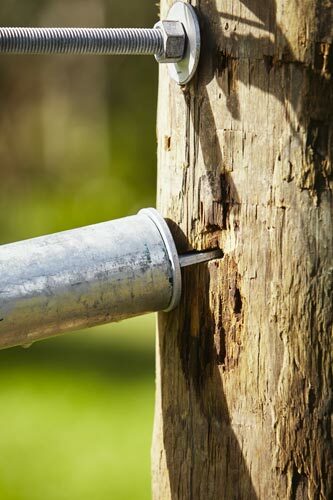 Looking to replace or install a new end assembly for your timber post? Our timber and pine post stay kit makes putting together a new strainer assembly simple and fast. 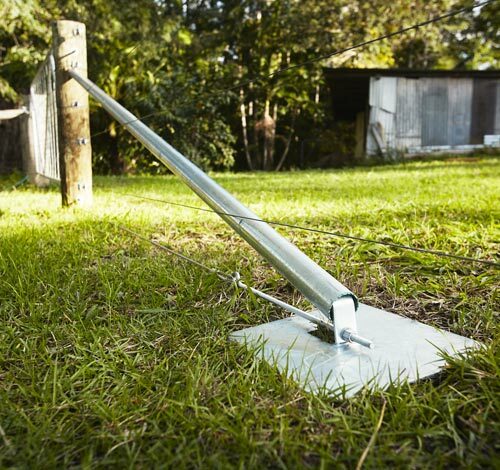 Our unique design tension cable assembly is a lot quicker to install - just drop the loop over your post, or slip knot it if you have existing wire installed and run the tension cable to your footplate. No drilling required. All components are either stainless steel or hot dipped galvanised to ensure a long lasting end assembly. Most of our timber post end assembly kits come with tension cables rather than rods. Tension cables are a lot easier to install, due to the lack of drilling needed, and just as strong. However, occasionally you will want to use a large timber post in your end assembly. We provide a tension rod assemblies for any posts that are 250mm in diameter and above. With the tension rod stay kit you can choose between a 40NB stay (good general purpose stay), or a 50NB stay (more heavy duty). 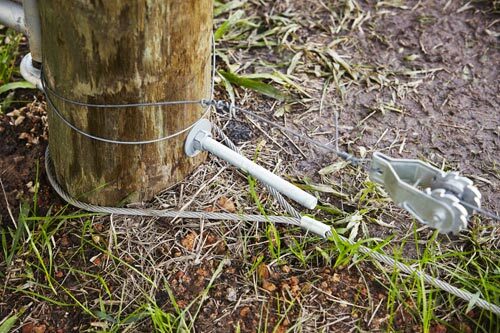 In this video we walk you through how to install a Timber Post Stay Kit with a tension cable assembly.